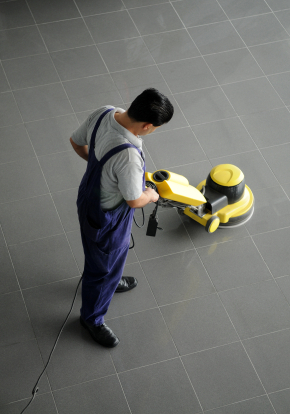 Our commercial cleaning contracts cover hundreds of thousands of square feet around the capital every day. We vacuum, we dust, we damp wipe. We do kitchens and canteens, tea points and dishwashers. We buff hard floors, empty bins, wash the windows inside and out, and leave everything we touch spotless. The Mayfair difference is the way we do it. The way we respond to the needs of the different commercial sectors we work in. Where larger cleaning companies promise a tailored service and fail to deliver, Mayfair can flex its processes to give you exactly what you want. Take office cleaning. Our teams can be there when you're not. Or work around you when you are. Your Mayfair customer services manager will work out all the details with you. We'll fit in with your office culture and address a host of practical issues. So if you want desks left pristine, we'll help you keep it that way. If papers are piled high and need to stay that way, we'll respect that. Mayfair has many clients in the Financial sector, banks and investment houses where confidentiality is key. We work with Media and Communications groups, Advertising Agencies, Television and Theatre Production companies. Each is highly individual, with people who like having things their way. If they want their space on Tuesday, that's fine. If they want a fresh pint of milk in the fridge every morning, we'll make sure it's there. We'll take account of your office's footfall, employee numbers and how many visitors you expect. Our clients in the Recruitment world and the Managing Agents we work with need to make the right impression. We see it as central to our role, too. 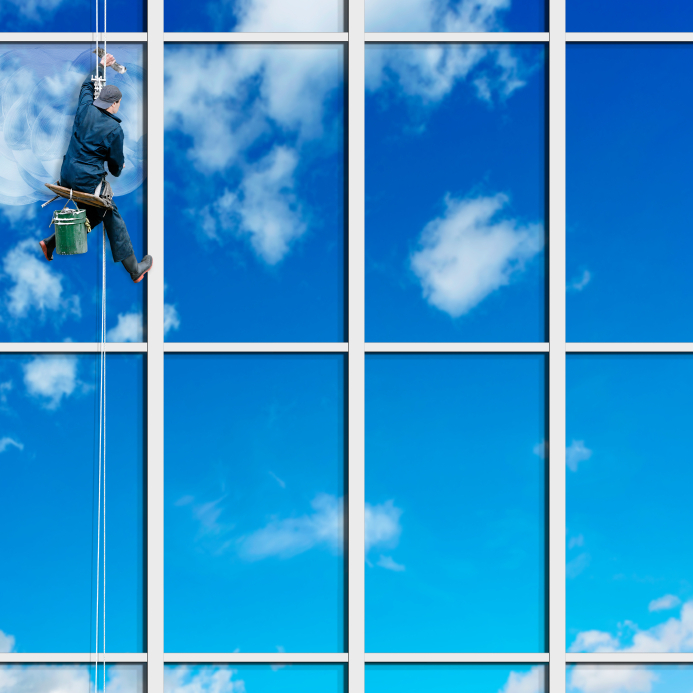 For many cleaning companies, 'contract cleaning' means just that. Sticking to the contract and never going the extra mile. Not at Mayfair. Whether in the private or the public sector, working for Government agencies, councils and departments, we pride ourselves on the commercial cleaning contracts we have won for some of the country's finest establishments and institutions. We work in Education, dealing with all the issues kids and teens can throw at you, from spilt dinners to ground-in gum. With an arsenal of specialist solutions and an eye on the environment, we have the tools to tackle some of the most challenging environments. All our staff are screened and vetted, with the appropriate CRB checks in place where these are necessary. All our contracts are designed to offer outstanding value, especially in these challenging economic times. 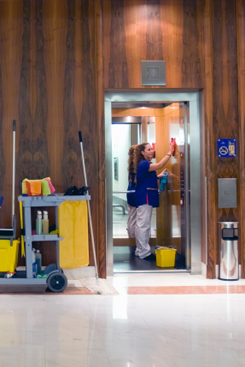 Public or Private sector: call Mayfair's commercial cleaning specialists on 020 7720 6447 today. Cleaning your shop window inside and out, keeping your aisles polished and making sure no one slips up on the catwalk, Mayfair has a flair for Fashion, keeping your racks, shelves and fitting rooms spruce, safe and welcoming. 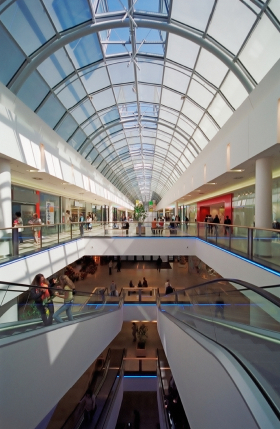 From single location Department Stores to Retail Outlets around the capital, no cleaning task is too daunting. We will work out rotas as frequent as you want them, planning daily visits, deep cleans and spring cleans. If your merchandise needs special handling, is perishable or simply fragile, we will take special care. At Mayfair, we place great emphasis on training in all its forms. From carrying out regular tasks to handling machinery or using special chemicals. If you're moving into new premises (or moving out), our commercial services can help there, too. One-off projects or routine assignments are all undertaken with the same meticulous attention to planning and implementation, with all the checks and balances to make sure the job is done to perfection. See and be seen. Have your shop windows had the Mayfair touch? Call us today. At Mayfair, commercial cleaning can mean many things. Much more than the popular perception of running a duster over a ledge. 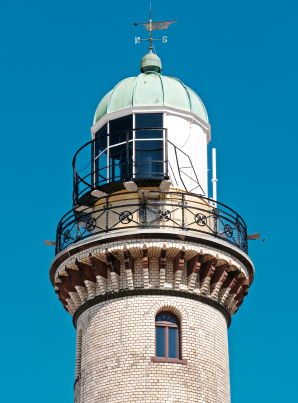 If you have a special project, anything unusual, you should talk to us. That's because we work in often hostile environments, such as Engineering. With today's emphasis on Health & Safety, we will tackle the shop floor, industrial premises, take care of waste management, wash down plant and vehicles. However complex or unusual your needs, we will find the answer. So whether you're into Property Development or House Building and need a site clearing of rubble and a show home kept looking its best, Mayfair's experience and flexibility will make life easy. We don't just dust. Our commercial contracts take on the grimy jobs too. Call us on 020 7720 6447. To some, cleaning is cleaning. To us, it's an opportunity to make a difference to your business. One many will not notice if done well, but conspicuous if left wanting. Mayfair has been in business for over 100 years, moving with the times and keeping customers satisfied year on year. Like a well-oiled machine, our presence will be unobtrusive and yet we may become one of your most valued business partners. However complex your cleaning needs, however individual, much of our success is down to the way we go about our business. Available, discreet and focused on our customers, we make sure you have things your way. Our bespoke commercial cleaning solutions adapt to vastly different sectors, and within those sectors, we go out of our way to satisfy each of our clients' needs. We are especially proud to carry the Royal Warrant, and to take care of Windsor Castle. Our teams look after the visitor areas that welcome many thousands of sightseers every year, just as we look after the administrative offices behind the scenes. A sign of the dedication to quality your organisation could also soon be enjoying. Mayfair has a tailored solution to your cleaning needs. Use our Call Back option opposite. Value is critical in these difficult times. 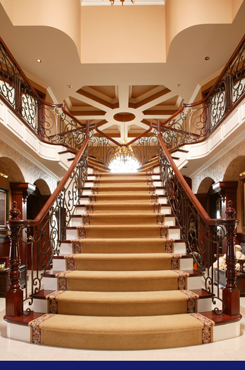 We're clear about what we promise, and we strive to deliver above and beyond expectations. We’ll pick up every last crumb and capture any litter flying about, leaving things crisp and clean.